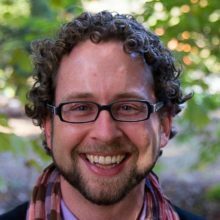 Bradley Boovy is assistant professor of German and Women, Gender, and Sexuality Studies at Oregon State University where he coordinates the German program for the Corvallis campus and teaches courses on German language and literature, men and masculinities, gender studies, and queer studies. 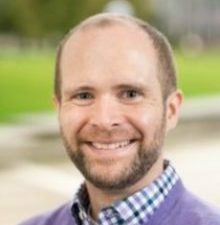 His research interests include twentieth-century German literary and cultural studies, critical language pedagogy, and queer and feminist theories. His work has appeared in the Women in German Yearbook, Die Unterrichtspraxis, L2 Journal, and Archival Practice, among others. He is currently completing a monograph on West German gay magazines in the early Cold War titled ‘Masculinity and the Magazine: Sexuality, Race, and Belonging in 1950s West Germany’. 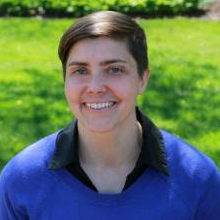 Jennifer Creech is currently Associate Professor of German at the University of Rochester, where she is also Affiliate Faculty in Film & Media Studies, and Associate Faculty at the Susan B. Anthony Institute for Gender, Sexuality & Women’s Studies. Her research and teaching interests include late 20th-century German literature, film and culture; cinema studies; Marxist and feminist theories. 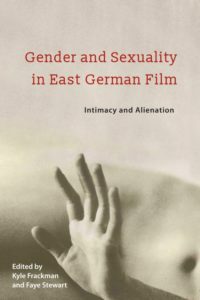 She is the author of Mothers, Comrades & Outcasts in East German Women’s Films (Indiana University Press, 2016), and has published on East German and post-unification cinema in Seminar and Women in German Yearbook. She is also the co-editor of Spectacle: German Visual Culture, vol. 2 (Oxford: Peter Lang, 2015) and The Body: German Visual Culture, vol. 5 (forthcoming 2018). She is currently working on a collaborative book and documentary film project that explores the story of former Namibian refugees in East Germany. Cynthia Cruz is the author of four collections of poems. Her first collection of essays as well as a fifth collection of poems and an anthology of Latina poetry she has edited are forthcoming in 2019. Currently pursuing a PhD in German Language and Literature at Rutgers University, Cruz’s academic work examines how iterations of quiet can serve as resistance. Cruz teaches creative writing at Sarah Lawrence College. Born in Germany, Cruz grew up in Northern California. She earned her BA at Mills College, her MFA in Creative Writing at Sarah Lawrence College, and her MFA in Art Writing & Criticism at the School of Visual Arts. Margaret McCarthy is professor of German Studies at Davidson College, where she also teaches film and media studies. She has published articles on contemporary German literature, film, and feminism in journals such as Camera Obscura, German Quarterly, New German Critique, and Oxford German Studies. She co-edited the Women in German Yearbook as well as Light Motives. German Popular Film in Perspective (2003). More recently she editedPop Literature. A Companion (2015) and authored Mad Mädchen. Feminism and Generational Conflict in Recent German Literature and Film. 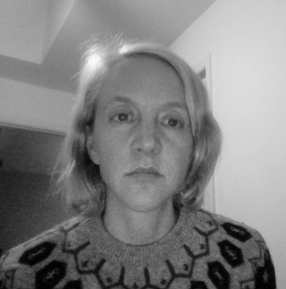 Simone Pfleger is a postdoctoral fellow at the department of Women’s and Gender Studies at the University of Alberta. She received her Ph.D. with a certificate in Women, Gender, and Sexuality Studies at Washington University in St. Louis, Missouri (2018). 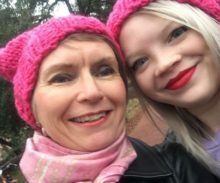 Her dissertation, “(Un)Doing and (Un)Becoming: Subjectivity and Potential in 21st-Century German Literature and Film,” focuses on the emergence of non-conforming identities, bodily desires and pleasures, and precarious positionalities through an examination of out-of-sync temporal patterns. For the 2017–18 academic year, Simone joined a cohort of international scholars as a research associate at the Wirth Institute for Austrian and Central European Studies at the University of Alberta. 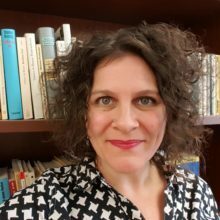 Her research is grounded in gender and queer theoretical methodologies and focuses on temporality, (political) subjectivity, affect, intimacy, and precarity in late twentieth- and early twenty-first-century German literature, film, and culture. Faye Stewart is Associate Professor of German at Georgia State University. She is the author of German Feminist Queer Crime Fiction: Politics, Justice and Desire (2014) and co-editor of Framing Islam: Faith, Fascination, and Fear in Twenty-First-Century German Culture (Colloquia Germanica 47.1–2, 2014/2017, with Heidi Denzel de Tirado) and Gender and Sexuality in East German Film: Intimacy and Alienation (2018, with Kyle Frackman). 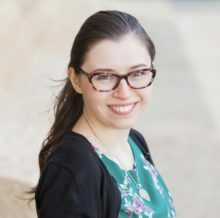 Didem Uca is a PhD candidate (ABD) in Germanic Languages and Literatures and Gender, Sexuality, and Women’s Studies at the University of Pennsylvania. Her research interests center on post/migrant cultural production, narrative theory, and intersectional feminism. She presented at the 2017 American Comparative Literature Association and German Studies Association conferences and organized sessions at the most recent meetings of the Coalition of Women in German and the Northeast Modern Language Association. She is Assistant Editor of the Turkish-German Studies Yearbook, has held Fulbright fellowships in Germany and Turkey, and translates from German and Turkish into English. She tweets for the Coalition of Women in German @womeningerman.